We routinely hold workshops to train users how to use BrainSuite and assist them in integrating BrainSuite into their research. Slides, data, and videos from the workshops are available here. 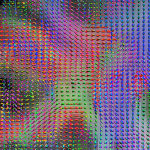 This set of tutorials will take you through the primary BrainSuite workflows, from MRI scan to visualized data. 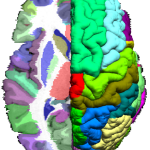 Create a 3D model of a brain from MR images. Register and label the surfaces and volumes created by BrainSuite. Align diffusion data to an anatomical scan, generate tracts, and automatically analyze connectivity of labelled brain regions. These tutorials demonstrate how to perform statistical analysis on data produced using BrainSuite. 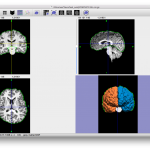 Available tutorials include: Tensor-based morphometry, cortical-based morphometry, and ROI-based analysis. These videos demonstrate how to use various aspects of the BrainSuite interface to process MRI data.